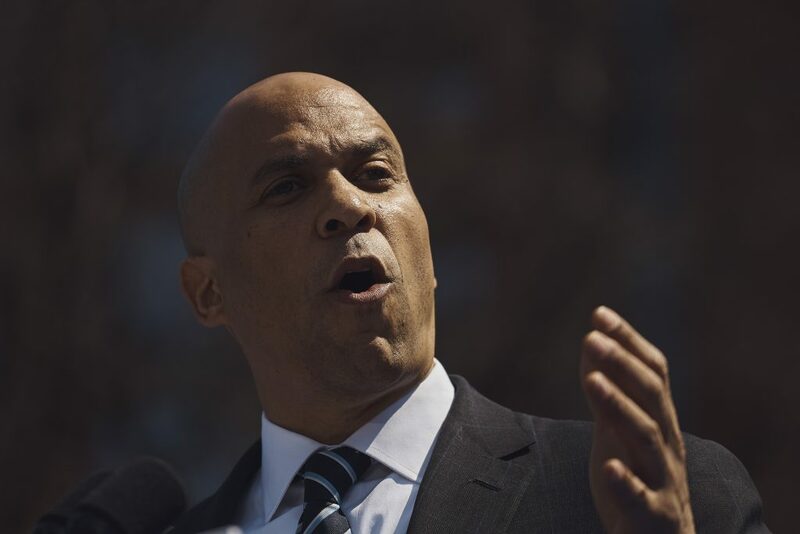 The first stops on Booker’s national tour are in Iowa, Georgia and Nevada. The themes he pressed at the rally included ending “mass incarcerations” and “the school to prison pipeline,” passing gun control measures such as universal background checks and an assault weapons ban and advancing “Medicare for All.” He wants to enact “comprehensive immigration reform” that also provides a path to citizenship for young immigrants who are in the country illegally and end “the sabotage” of the Obama-era health care law. He pledged to appoint Supreme Court justices. “There are some folks that want to criticize you for getting into the sausage-making, for making compromises and horse-trading, but when I walk around my neighborhood now, folk come out and tell me, ‘Thank you for doing that bill,'” Booker told a New York-based radio show on Friday. Could Big Money Leave Newark With Mayor Booker? With Booker Leaving, Who Will Run Newark?